I have an amazing book about snow that I've been meaning to share for a month (hello book loving publishers? hi!!! it's me, Melissa! if you give me a book to review, it will be reviewed and photographed oh so lovingly, but it will take me awhile), and I'm gonna try and get it up for this wkend (b/c I feel so guilty for not giving my blog the attention it deserves lately). 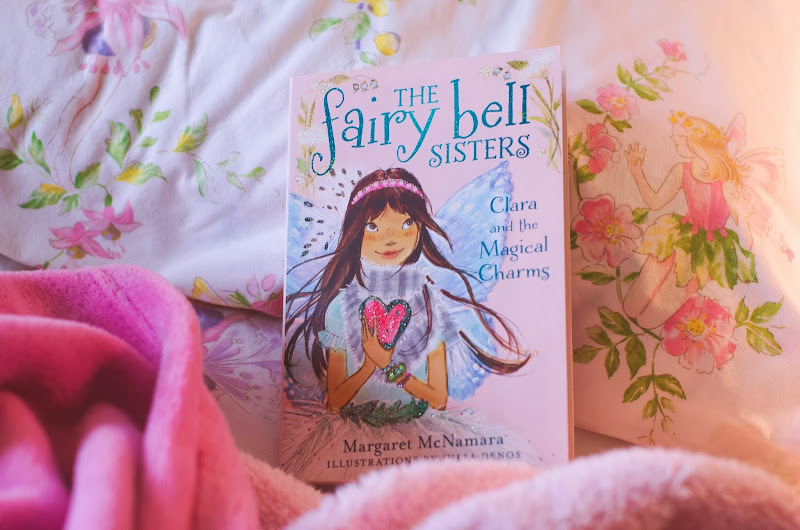 Julia has read another of these 'Fairy Bell Sisters' series books by Margaret McNamara and Julia Denos (nice name!). 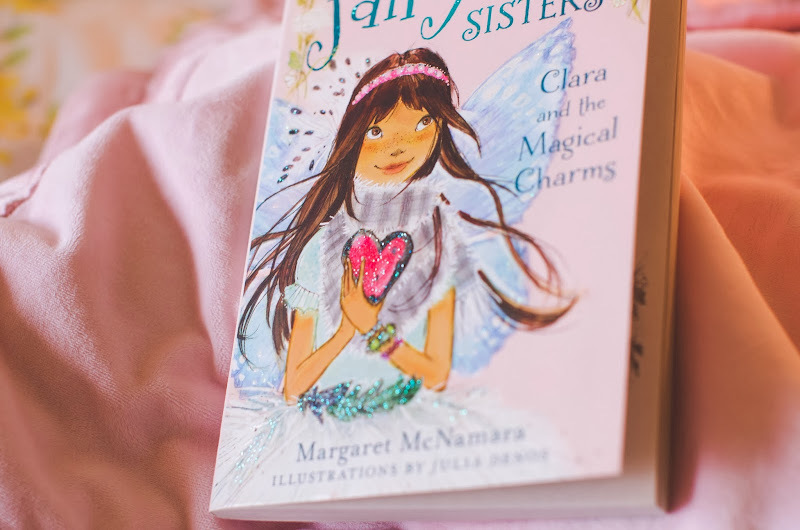 These books are all about the adventures of Tinker Bell's sisters. How cute is that? They are so darn cute. They are so pastel. And she likes these so much better than the 'Rainbow Fairy' series, which she doesn't care for at all, sorry Rainbow fairies. 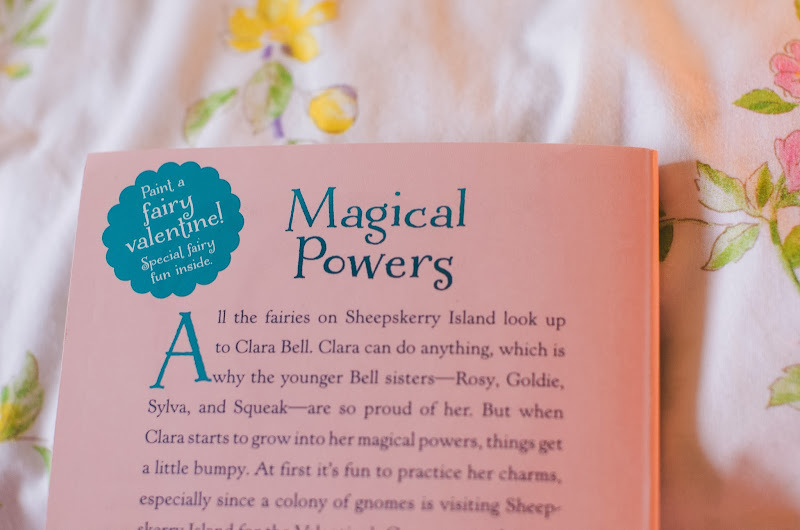 She just read 'Clara and the Magical Charms', which is PERFECT for Valentine's Day, as the plot centers around a colony of gnomes who are visiting for the Valentine's Games. I can't tell you how darling this story is! The fairies practice their charms. They drink hot chocolate off of toadstool tables. THEY SAVE A BABY DOLPHIN. 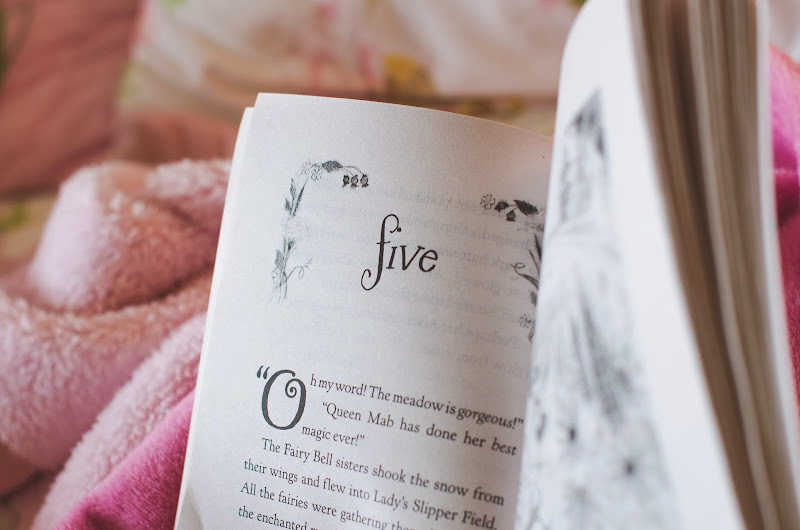 Short, easy-to-read chapters, with darling darling art, these books are really PRECIOUS for the 5-8 year old set. Go! Go get this one for Valentine's Day!! Better for the teeth than chocolate! Or get some chocolate to go with it anyway, because I truly believe that we should rename Valentine's Day to 'Chocolate & Pink Day' and be done with it. Some are pretty terrible! (the terrible ones I sort of let J muddle through on her own, ha ha) But these are very cute! 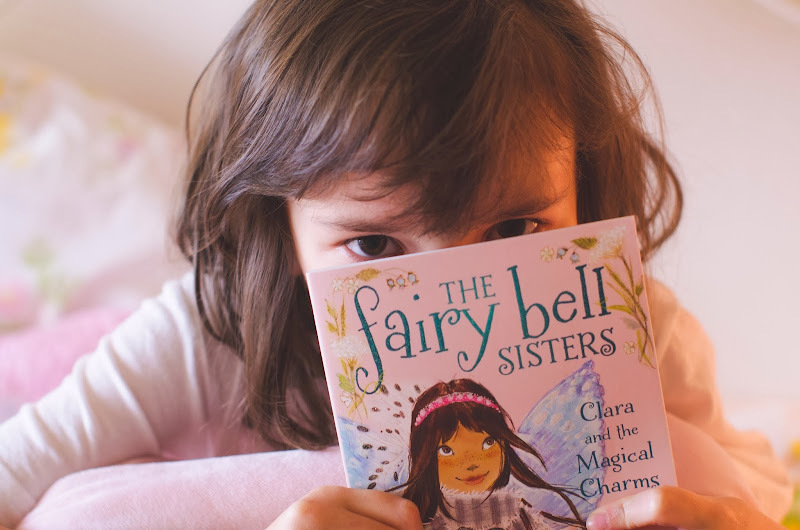 Aww, I checked out the first Fairy Bell Sisters book for Big Sis, but it was returned unread. She just didn't care. :( Perhaps I'll try again when Little Sis is reading on her own. Right now, she wants me to read Junie B. and books about Amelia Earhart. see above comment to Robyn!! 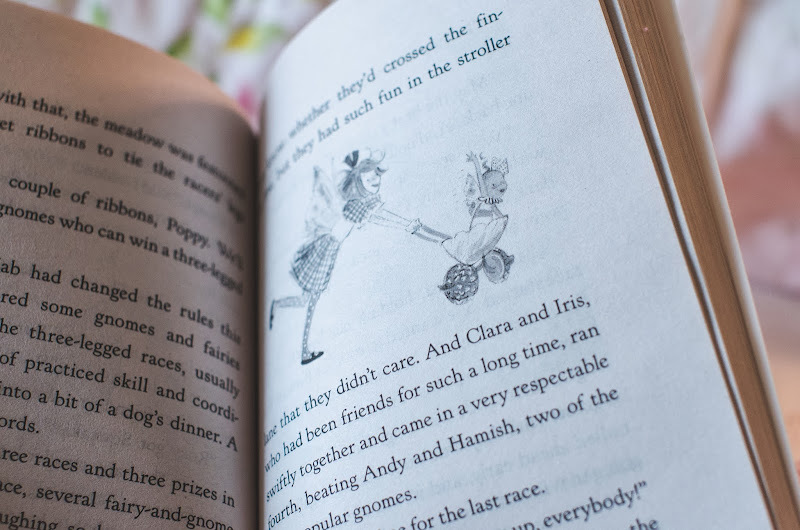 J would pick Junie B. over a cute fairy ANY DAY of the week, ha ha ha! How sweeeeeet! I need to look it up. 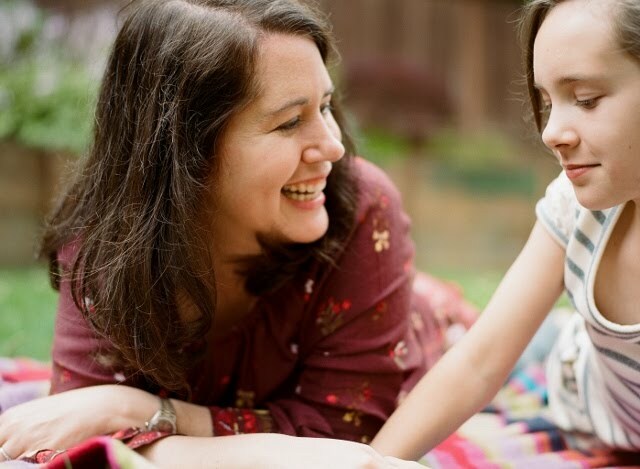 you and your daughter have something to look forward to! OH MY GOODNESS!!!! Hello Miss Margaret! I'm so thrilled you somehow discovered our review, and may I say THANK YOU for making these sweet sweet books. They are so charming! And big shoutout to Julia for her amazing art as well. :) Thank you so much for leaving a comment here, much aloha!